Prenuptial agreements have become rather standard, especially among two-career couples and couples entering second marriages later in life. Though not the most romantic aspect of wedding preparation, marital agreements offer practical protections. In fact, more married couples have begun seeking additional financial security through negotiated postnuptial agreements. 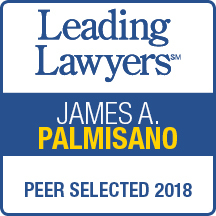 Whether you’re planning to get married or are already, you can trust The Palmisano Law Group to negotiate an agreement that protects your rights and can withstand legal challenges in court. On the other hand, if you’re anticipating divorce and need to challenge or defend your marital agreement, our firm is well-qualified to handle that controversy. What terms can a couple negotiate in a prenup or postnup? Marital agreements most often concern financial matters, but in addition to spousal support and property distribution, spouses can agree to child custody terms in the event of separation and divorce. The spouses may not enter into an agreement that adversely affects a child’s right to support. Voluntary — Both parties must have signed without any compulsion or duress. Unconscionable — The agreement cannot be so overwhelmingly one-sided that enforcement would shock the conscience of the average person. Open and transparent — There was fair and reasonable disclosure of finances and obligations. Does not cause undue hardship — With regard to any modification of spousal support, the court may choose to override such provisions and order a support award. The safest way to ensure you create a valid marital agreement is to negotiate well in advance of the wedding, in an open process, with independent counsel representing each party. The Palmisano Law Group works closely with you to craft a marital agreement that fits your circumstances and protects your interests. If you’re interested in learning more about prenuptial or postnuptial agreements, take advantage of our free 60-minute initial consultation. Call us today at 708-966-4311 or contact us online to speak with a knowledgeable family law attorney.